Bajaj will soon launch an upgraded version of Dominar 400. But before that, ‘Goodbye 2018’ offer is set to clear the existing stock of current Dominar. 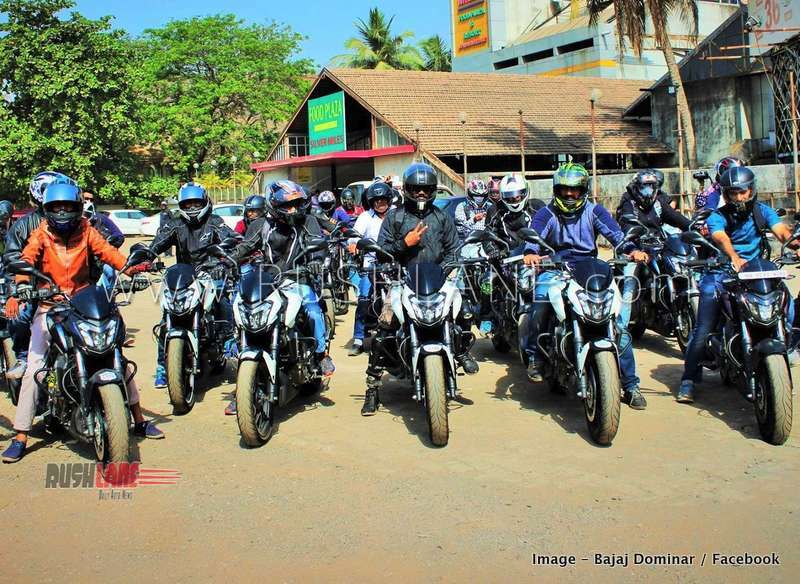 Bajaj Dominar 400 is on its last trip prior to the 2019 model being launched. Company dealerships, eager to get rid of existing stocks are offering hefty discounts via a ‘Goodbye 2018‘ offer on this flagship motorcycle. The offer is an extension of the 5-5-5 offer presented during the recently concluded festive season and includes 5 free services, free 5 year damage insurance and free 5 year warranty and is valid till 31st December 2018. In addition to the above 555 offer, some dealers are also offering a free riding jacket with Dominar. 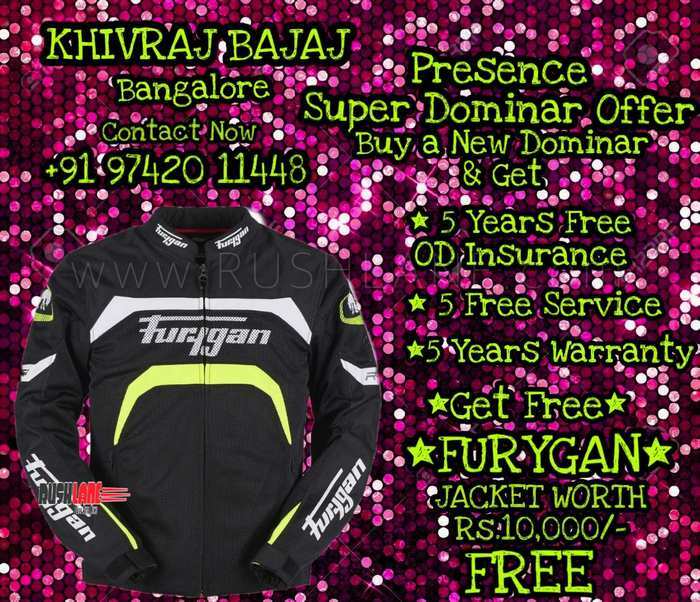 This riding jacket is claimed to be worth Rs 10,000 and is manufactured by Furygan. This offer was first announced by Khivraj Bajaj in Bangalore. The dealer is also offering a cash discount of Rs 3,500 in addition to all the above – thereby bringing the cost of Dominar even lower than what it was launched at back in 2016. Bajaj Dominar 400 has been seeing a dip in sales over the past few months. In October 2018 sales stood at just 659 units while September and August sales were at 1,095 and 1,122 units respectively. July, June and May sales were also way below expectations at 1,381 units, 1,277 units and 1,191 units respectively. With the 2019 Bajaj Dominar 400 being planned, the company has revealed certain updates that this new motorcycle will be seen with. These will include a more powerful engine while a flat torque curve will ensure better refinement. The new Dominar will come with a new color scheme, a new exhaust system, larger radiator, upside down telescopic front suspension and updated instrument display. It will continue to sport a split instrument cluster, full LED headlamps and MRF tyres while dual channel ABS will be offered as standard. Launch date of the updated Bajaj Dominar 400 is expected sometime in January/February 2019. There will be an increase in pricing by around Rs.15,000.